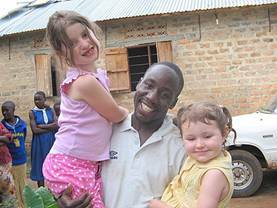 The link with Mityana began in 1994, when a vicar from St. Sebastian's Church, Wokingham, visited Mityana with Send A Cow Charity. On his return he showed slides of his visit to the staff and children at St. Sebastian's School, and kindled a flame of care about the impoverished Ugandan people. This has grown into something he could never have imagined! The school started a link with a school in Mityana and the sponsorship scheme began. Many staff have visited over the years. 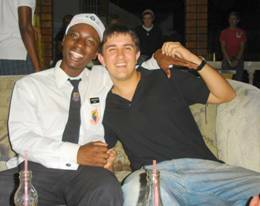 Later a reciprocal visit was made from a Ugandan teacher. Children and their families, teenagers with youth groups, clergy and doctors have all visited and helped develop projects. If you are interested in visiting then please contact us. In 1997 Mityana Charity was formed to unite the various activities, coordinate the projects and thereby maximise their effectiveness. We continue to grow and develop, year by year, thanks to the hard work that is done in this country by a team of voluntary Committee members and helpers, the enthusiasm and generosity of our sponsors and the warm friendship of our dear friends in Mityana.